In the 1930 race Bentley achieved its fourth consecutive success, Woolf Barnato and Glen Kidston the winning drivers in the very same 'Speed Six' with which they had won in 1929. Two of Britain's greats of the era, Earl Howe and Henry Birkin, won for Alfa Romeo in 1931, beginning a four-race victory streak for the Italian manufacturer. Lagonda (1935) and Delahaye (1938) secured a win each, while Bugatti took two with the great Jean-Pierre Wimille driving its innovative Type 57 'Tank' cars, with all-enclosing bodywork. Highly detailed year-by-year treatment of the decade's nine races, giving unprecedented depth of information and photographic coverage for each year. Official status provides a number of unique features, including the reproduction of photographs and full-colour race poster artwork from the ACO's archives.Complete data for each year includes technical regulations, entry list, circuit changes (with diagram), full results and category awards. The whole work is beautifully designed and presented. 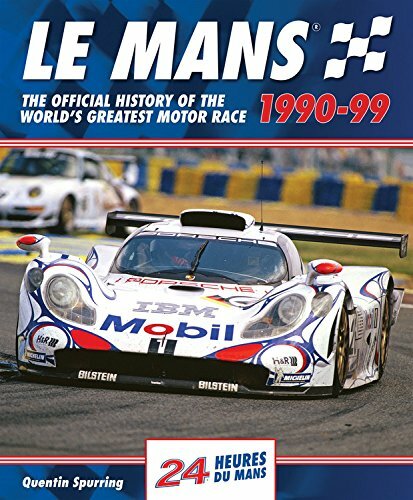 A past editor of Autosport, the world's top motorsports weekly, Quentin Spurring has a long-held passion for the Le Mans 24 Hours - he has reported from the race 26 times - and is the ideal author for this series of officially endorsed books. 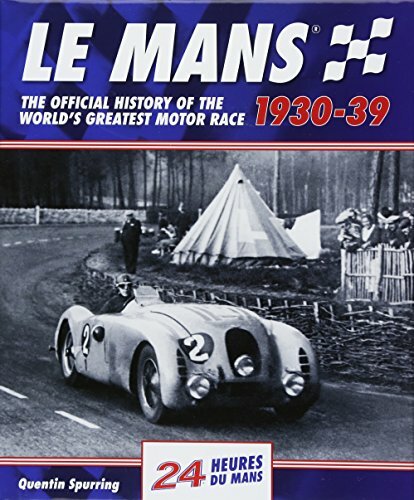 In addition to his books in this Le Mans series (1923-29, 1930-39, 1949-59, 1960-69, 1970-79, 1980-89 and 1990-99), he has written books about Jim Clark, Gilles Villeneuve and Ronnie Peterson, and his book Grand Prix: Images of the First 100 Years, from David Bull Publishing, won an award from the American Publishers Association (APA). He has been the European Motorsport Correspondent of the US publication, AutoWeek, since 1982.